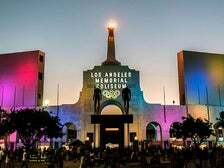 In honor of the franchise's 50th anniversary, here are nine of the greatest moments in Los Angeles Kings history. 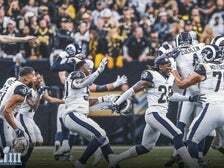 In honor of the team’s return to the Big Game, here are ten of the most important moments in Los Angeles Rams history. 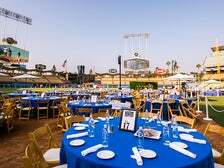 Hosted by emcees John Hartung and Orel Hershiser, Dodgers All-Access is a collaboration between the Los Angeles Sports & Entertainment Commission (LASEC) and the Los Angeles Dodgers Foundation. 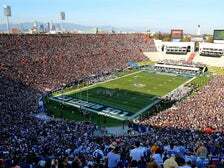 The all-star lineup includes Dodgers first baseman Adrian Gonzalez, outfielder Joc Pederson, third baseman Justin Turner, and Dodger legends like Ron Cey, Steve Garvey, Mickey Hatcher, Eric Karros, Tommy Lasorda, Bill Russell, Reggie Smith and Steve Yeager. 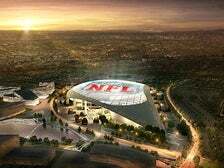 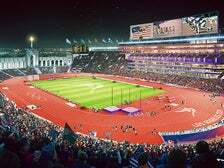 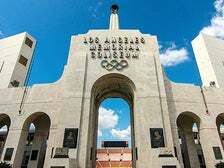 LA 2024 has released renderings of a modernized Los Angeles Memorial Coliseum and a state-of-the-art aquatics facility on USC’s Dedeaux Field as proposed venues for track and field and three aquatics disciplines for the 2024 Summer Olympic Games.